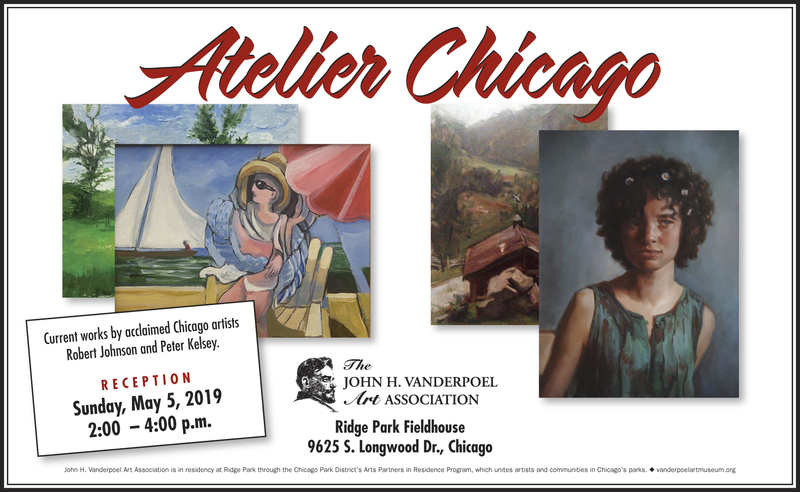 Atelier Chicago: current works by acclaimed Chicago artists Robert Johnson and Peter Kelsey. and then was the Director of Chicago Public Schools’ Bureau of Art. and the Palette and Chisel Art Academy. Peter lives in Evanston and is an instructor at Studio Incamminati. ©The Vanderpoel Art Association - Phone: 773/779-0007 - Email: info@vanderpoelartmuseum.org - Site Design: GL Studios, Inc.